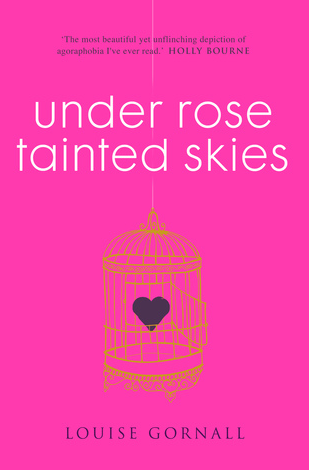 Our main character in Under Rose-Tainted Skies (hereby referred to as URTS) has extreme OCD and agoraphobia leaving her housebound, homeschooled and pretty much friendless, until she meets the new boy next door after struggling to fish her food shopping in from the front porch. Whilst this sounds like a relatively typical boy meets girl scenario, it is anything but as Norah struggles with her OCD and agoraphobia preventing her from having a normal relationship. Imagine liking someone but not being able to touch their hand for fear of the germs on there? 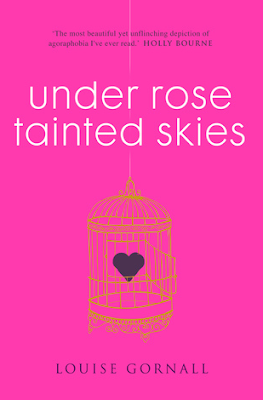 This for Norah leads to massive anxiety, making URTS a great look into the thoughts someone with these types of mental illnesses may experience. This is the first book I have read this year that I feels deserves a 10/10. I flew through it in a day and was completely absorbed from the first chapter. Norah is an incredibly likeable character, and for many she will be quite relatable as she has all the normal fears a teenager may have, but amplified by 20 and mixed in with a little OCD and anxiety. URTS takes you on such an emotional rollercoaster, I have a very expressive face and I think anyone sitting next to me on my train commute must've been wondering what I was up to as one moment I was beaming widely, but the next my face was screwed up because it felt like my own heart was breaking. Not only does this book tell an interesting story, but to me personally, and to anyone else who has suffered with any sort of mental illness it's quite inspiring. It really shows how much of an uphill struggle dealing with mental illness can be, and that there is no quick fix but things can get better as long as we push ourself. I have no problems recommending this book to everyone. It's one of the books I've enjoyed the most this year for many different reasons and I think it's an interesting and informative read for everyone.